Last Four Games: We need you! 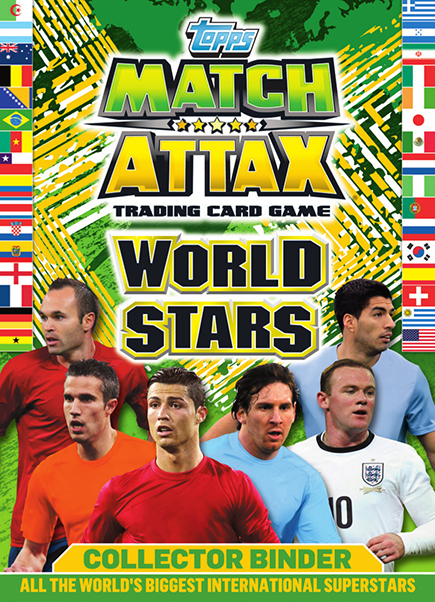 World Stars Match Attax on sale! Motherwell turned in a poor performance to lose 5-1 to Dundee United at Tannadice this afternoon. A disjointed Steelmen were run ragged at times and only briefly looked like mounting a comeback after a half-time reshuffle before Stuart Armstrong, the provider of both of Nadir Çiftçi’s first-half goals, ran through the heart of the visiting defence to kill off the game in the 61st minute. Ryan Dow and substitute Brian Graham took United’s tally for the season against Motherwell to 14 as the fourth-placed hosts cut the deficit to four points with three matches to play. Motherwell could have clinched European football at Tannadice but it proved to be a day to forget for Steven Hammell, who wore the captain’s armband on his 500th appearance for the club, with Lionel Ainsworth’s late goal proving scant consolation. Çiftçi took just eight minutes to open his account when he started and finished a tremendous move. The striker played a first-time lay-off to Armstrong on the right wing, just inside the Motherwell half. The midfielder beat a man and returned the ball to Çiftçi, who turned inside Stephen McManus and arrowed a shot into the top corner from the edge of the box. Armstrong then cleared after Fraser Kerr cut the ball across the face of goal but that was as much as Motherwell threatened in the first half. United, who rested teenagers Ryan Gauld and John Souttar from the start, were soon back on the attack as Çiftçi played a defence-splitting pass to release Paul Paton. The midfielder lifted the ball over Gunnar Nielsen but McManus got back to head clear. United were causing a lot of problems with their pace and movement and Armstrong set Çiftçi clear again, but Nielsen came out to make a brilliant save. The Faroese keeper then turned away a 25-yard strike from Gary Mackay-Steven, who almost went clean through moments later after cutting inside Shaun Hutchinson – but Keith Lasley brought him down right on the edge of the box and happily took a yellow card. Motherwell’s best hope was to keep it to one before a half-time reorganisation but they were cut open again five minutes before the break. Centre-back Hutchinson lost out to Mackay-Steven next to the left touchline on the halfway line and United quickly exploited the space. The winger cut inside and switched play to Armstrong, whose instant cross was swept home first-time by Çiftçi from 16 yards. There was no surprise when Stuart McCall made two changes at half-time, bringing off Kerr and Henri Anier and putting on winger Ainsworth and forward Craig Moore and moving Iain Vigurs out left in a more orthodox midfield set-up. They had two early chances but both Lasley and Ainsworth blasted over from 12 yards and United then cut the visitors open again. Ryan Dow flicked the ball through for Armstrong to run through the middle, hold off Hutchinson and shoot into the roof of the net. Çiftçi soon fired against the outside of the post after Motherwell escaped a penalty when McManus appeared to catch Dow. United went further ahead in the 72nd minute when Dow had all the time he needed and more to chest down Gavin Gunning’s diagonal cross and fire the ball into the far corner from eight yards. They netted again in the 81st minute when Andy Robertson threaded another ball straight through the middle for Graham to slide the ball underneath Nielsen, before Ainsworth grabbed a consolation with a deflected shot from 18 yards with three minutes left. It was a miserable afternoon for the Fir Parkers, who now have two home games against St Johnstone and Inverness to shape their season, before a last-day fixture at Pittodrie. “I will sum it up as briefly as I can – they were very, very good and we were very, very poor. “They have had the measure of us this season and their strengths have been on the counter-attack. “That’s the most pleasing thing for us as coaches, we look for a response. We were really disappointed last week and I think the boys felt it as well. “The gaffer had a collective meeting with them on Monday and we have worked really hard this week, and it has culminated in a great response today. Concessions are listed as Over 65s, kids aged between 12 and 18 and Full Time Students with a valid matriculation card. Maximum of two Under 12s per full-paying adult. There will be a minutes applause for ex Dundee United player Frank Kopel, who sadly passed away last week. Police Scotland have advised they may stop and search supporters buses for alcohol. Any supporters buses should park as normal in Neish Street. Fans should expect traffic delays if using the Tay Bridge crossing. Heavy rain is forecast for the Tayside area so fans should take extra care when travelling to and from the match. Stuart McCall will urge his side to go all out for victory when they take on Dundee United at Tannadice tomorrow. The Steelmen sit seven points ahead of Jackie McNamara’s side with four games left of the inaugural SPFL Premiership season. And with a win all but guaranteeing a European spot for next season, the Fir Parkers have a clear objective as the head for the City of Discovery. Speaking to MFC TV ahead of the match, the Fir Park boss said: “Results last weekend have probably put a slightly different spin on things. “We could have been going there just three points ahead of them with an inferior goal difference meaning had we lost, we’d have dropped a place. “The seven point gap we have means we’ve got to take the bull by the horns and go for a victory, which to be fair, we always try to. “What I mean by that is there are situations where a point is a good one, and being just three in front may well have been one of those occasions. Legendary left-back Stevie Hammell spoke of his pride as he looks set to play his 500th game for Motherwell tomorrow. The 32-year old made his debut against Aberdeen fourteen years ago and has gone on to achieve much, appearing in Cup Finals, finishing ‘best of the rest’ on three separate occasions, wining International recognition with Scotland and earning a testimonial season. He now reaches the latest milestone, which leaves him fourth on Motherwell’s all-time appearance list, behind Bobby Ferrier (644), Joe Wark (609) and George Stevenson (551). Hammell told MFC TV: “It means a lot to me and it has come around really quickly. “I can still remember my first game like it was last season and to get to 500 games for such a special club is a real honour for me. “To be honest, it’s not something I really thought about when I started at the club, but as it’s got closer, it has come into sharper focus. Tickets are available for our last four matches as ‘Well battle it out for a European spot. The Steelmen are in the battle to finish in the top three with as many as five teams still in contention. It looks set to be one of the most keenly contests finishes to a season in the Scottish top flight for many years. And ‘Well boss Stuart McCall has urged fans to get right behind the team, particularly the two matches at Fir Park. “I have been delighted with the positive support, noise and colour from the supporters this year and it has really pushed the boys on. “It would be great if we could get as many people along to Fir Park for the last two games. I understand, like last year against Ross County, the club will be looking to fill up the (Maxim Office Park) South Stand with local groups, so it would be great if the rest of the stands were also busy. “These last few games will define our season, but may also give us a little kick start into next season depending on where we finish. A maximum of x2 Under 12s can gain access for £3 with a full-paying adult. Motherwell fans will be housed in the Jim McLean Fair Play Stand upper tier. Concessions are listed as Under 18s and Full Time Students with a valid matriculation card. Motherwell fans will be housed in the South Stand as per normal. Leading collectibles company Topps – the SPFL’s official sticker and trading card partner – are kicking off a summer football carnival with the launch of their World Stars Match Attax Trading Card game. Scotland might not be at this summer’s tournament, but Motherwell supporters of all ages can still get to grips with all the teams headed to Brazil for the world’s favourite football competition right now! Just as Rio is destined to this summer, the game features the biggest international superstars from all 32 nations, with the likes of Rooney, Messi, Ronaldo, Iniesta and Neymar all ready to be called up from the packet to your pocket! There are over three hundred cards to collect, shiny new International Superstars, ‘Mega Man of the Match’ and ‘100 club’ cards. All the cards feature the latest international player values, plus there are signed cards from Ronaldo, Gerrard, Benteke and Henderson to be found in lucky packets! Steelmen supporters can get their hands on a starter pack for £3.99, with additional packets of 10 cards available at just £1 from supermarkets and local newsagents. ‘Well boss Stuart McCall has once again been nominated for the PFA Scotland Manager of the Year award. It’s the third successive year McCall has been nominated, although Derek Adams (Ross County) and Allan Johnston (Queen of the South) both pipped him in previous season. This year, he has been paired with Neil Lennon (Celtic), Derek McInnes (Aberdeen) and Tommy Wright (St Johnstone). Scotland manager Gordon Strachan announced the shortlist at Hampden Park, with the winner set to be announced on 27th April at the PFA Scotland awards dinner. The award will be decided by the SPFL’s 42 member managers and Strachan as national team boss, who each have a vote in the process. The Fir Park boss has once again worked miracles with his squad, which he had to almost completely rebuild in the summer. The achievements in the SPFL Premiership, to have his side fighting for Europe, is made all the more impressive when you consider the quite horrendous and unprecedented injury list in the second part of the campaign. The Scotland coach did with the Clydesdale Bank (the then league sponsors) award last year and has been very much in the running for the SFWA gong in recent years. Everyone at Fir Park would like to congratulate Stuart on his nomination and wish him the best of luck for when the winner is announced. Extended highlights from the Excelsior Stadium as a ruthless ‘Well beat Partick Thistle Under 20s 5-0. Jonatan Johansson praised the ruthless nature of Motherwell’s attacking play as they put five past Partick Thistle. The Fir Parkers weren’t always at their fluid best and, despite the score line, Thistle battled and worked hard to play attractive football. But in front of goal, the Steelmen showed no mercy, taking five and only a strong performance from Jags keeper Scott Basalaj kept the score line at five. The former Finnish International striker said: “I felt we were the better side and it was a very professional performance. “At times, we moved the ball well, some of our play was effectively quick and the standard of the goals was high. “It took us a bit of time to get going, but when we did, we managed to stretch the game, play wider and get our fullbacks more involved. “As a team, going forward, we looked good. A ruthless Motherwell Under 20s put five past Partick Thistle as they look to finish the season with a bang. First half goals from Steven Higgins, Paul McCafferty and Dom Thomas gave the Steelmen a commanding lead at the interval. A string of impressive saves by Jags keeper Scott Basalaj kept the score line at three before Higgins grabbed a fourth and Shirkie a fifth, as ‘Well comfortably brushed aside their Firhill counterparts. Jonatan Johansson made four changes to the side that beat St Johnstone seven days previous. Ross Stewart, Ben Hall, Jack McMillan and Lee Erwin all dropped out, replaced by Max Currie, Euan Murray, Craig McCall and Craig Moore. It was a slow start to the match and it took ‘Well until the twelfth minute to register the game’s first half-chance. Moore had a shot blocked for a corner then, shortly after, Higgins took advantage of a mistake in the Thistle backline but could only curl a shot wide of target. Fifteen minutes later, Thistle might have scored when David Wilson had a free header from a corner, but he couldn’t direct it at goal and ‘Well eventually scrambled it clear. It would prove to be a vital miss as, almost immediately after, ‘Well got their noses in front. Dom Thomas won the ball deep in the Thistle half and immediately set the visitors on the attack. Moore picked up on the edge of the area and Basalaj could only parry his fizzing shot out where Steven Higgins was lurking. The eighteen-year old kept his cool to slam home from close range. Leyden and Hamilton both had half-chances for Thistle, none of which troubled Currie in the Steelmen goal, before the Fir Parkers doubled their advantage on the 41st minute. After a patient, passing move, Paul McCafferty collected on the left flank. He turned his marker before sending an inviting ball towards the front post. Higgins went for it, missed it, but it carried on and into the far corner. Incredibly, ‘Well made it 3-0 seconds before the half-time interval. Craig Moore was again the creator, his free kick again parried out by Basalaj, but this time it was Dom Thomas who was on hand to force the rebound home. Into the second half and Johansson’s men made a barnstorming start, with Thistle having their goalkeeper to thank for keeping them within touching distance. He made three excellent saves, from Higgins, Moore and Cadden, all of which came after Ross Meechan had hooked a Paul McCafferty shot off the line. However, it was only a matter of time before the Steelmen added to their lead and the fourth eventually arrived on the 64th minute. Max Currie’s kick out was flicked on by McCafferty, allowing Higgins to burst clear of the home defence; the striker kept his composure to slide under Basalaj for his second of the evening. ‘Well continued to attack and passed up several chances to add a fifth. Thomas fired wide after industrious wing play by Cadden, before Shirkie and Higgins carved open the Jags defence with a lovely one-two, only for the former to watch on and his shot was again well saved by Basalaj at point-blank range. Thistle’s first shot on target came on the 72nd minute when Lee Gallacher fired a shot from distance, but it presented no problems for Currie who comfortably plucked it out the air. Two minutes passed before ‘Well added their fifth and final goal. Thomas showed great feet in the Thistle box before being crudely tripped by Mick McMullen. Although Higgins was on a treble, regular penalty taker Dale Shirkie coolly stepped up and slotted it past Basalaj, who couldn’t keep it out despite going the right way. Thistle’s best chance of the match again came from Gallacher, the little midfielder doing well to get a shot away from the edge of the area and although it beat Currie, it clipped the outside of the post on the way past. Five minutes before the finish, Higgins almost grabbed his hat trick with an audacious lob over Basalaj, but the Thistle keeper scrambled back onto his line before tipping over.